Long Beach Island is composed of six communities, each with its own government, including: Long Beach Township, Beach Haven, Ship Bottom, Surf City, Harvey Cedars, and Barnegat Light. Long Beach Township is actually a collection of smaller communities, each with its own unique piece of history: Holgate, North Beach Haven, Spray Beach, Beach Haven Gardens, Beach Haven Terrace, Haven Beach, Beach Haven Park, The Dunes, Peahala Park, Brighton Beach, Beach Haven Crest, Brant Beach, North Beach, Loveladies, and High Bar Harbor. These communities were settled at different points in the island’s history, and several different factors affected their development. The idea of creating a summer resort, first attempted by whalers and other early settlers, has remained the foundation of the island’s income and identity. The first settlement on Long Beach Island was made by whalers at Great Swamp, now known as Surf City, in the latter half of the 17th century. Some of the early whalers took in summer boarders. Harvey Cedars also traces its origins back to whaling families living in that area in the early 1700s. Whaling was the first industry, but it was later replaced by fishing due to the scarcity of whales along the coast. Pound fisheries were established in Ship Bottom and other locations along the shore in the late 19th century, as were salt hay and seaweed industries. Small fishing docks and fisheries can still be found at Barnegat Light and Beach Haven. Farms also existed along the island in the 19th century. By 1823, Long Beach Island was firmly established as a seaside resort with two large hotels. Beach Haven was also a burgeoning resort touted as a cure for hay fever sufferers in 1874. Barnegat Light, first known as Barnegat City, was organized around the lighthouse constructed there in 1859. Nicknamed “Old Barney,” it was built by Major George Meade of the Army Corps of Engineers, and is now maintained as a park by the State of New Jersey. In 1881, the Barnegat City Beach Association was founded to promote settlement. The company operated a steamboat which ran from the mainland to the new town for the convenience of settlers. Barnegat City was connected by railroad to the mainland in 1886 and development of the resort continued. Ship Bottom developed in the late 19th century around a lifesaving station. Loveladies, now part of Long Beach Township, also grew around a lifesaving station built in 1871. As Beach Haven and Barnegat Light developed into resort towns in the 1870s and 1880s, other areas began to grow, and tourism became the dominant industry on the island. The Surf City community grew around one of the island’s first grand hotels, the Mansion of Health, which was established in 1822. Peahala Park grew around a gun club, and Spray Beach around a hotel. Brant Beach and Beach Haven Terrace were established by real estate developers in the early 20th century. A highway bridge for automobiles was constructed in 1914. A post World War I real estate boom signaled a turning point in the island’s history. Former guests at hotels began to buy or build summer cottages. During the 10 years after 1914, the island developed more quickly than it had during the previous 40 years. Today, the communities of Long Beach Island still retain some echoes of their past. Barnegat Light and Beach Haven in particular retain a traditional, small town feel. Well-maintained Victorian houses give the towns a sense of history and permanence. Remnants of old fishing villages are still evident. Many residents enjoy living on Long Beach Island because of the cozy atmosphere that the island possesses. It is characterized by residents as a family oriented place of caring neighbors, low crime, and beautiful views. The towns of Loveladies, Harvey Cedars, and North Beach (northern end) tend to have newer, larger homes built along the beach and bay. Some of this is due to the rebuilding that took place after the devastating 1962 nor’easter. Year-round residents tend to live in Barnegat Light, Harvey Cedars, Surf City, Ship Bottom, Brant Beach, and Beach Haven. Long Beach Island is almost completely developed. Hurricane Sandy, which tracked over the island in October 2012, damaged many homes and businesses. This has resulted in many homes and commercial structures being renovated or completely rebuilt. The Army Corps of Engineers has undertaken a dune restoration and vegetation project that is being carried out intermittently along the beachfront. Little of the island’s natural landscape remains, except for a wildlife preserve at its southern end and a stretch of dunes along Barnegat Light. Small sections of wetlands on the bay side have been preserved. Much of the property on Long Beach Island is well-maintained and attractive. During the 1950s, library service to the residents of Long Beach Island was provided by the Ocean County Library’s book mobile. In 1956, a collection of books was placed in a small room in the Long Beach Township Municipal Building. This was the first branch of the Ocean County Library. The library was open daily in the summer months and once a week during the rest of the year. In December 1958, the township needed more space, and the library was asked to find other quarters. 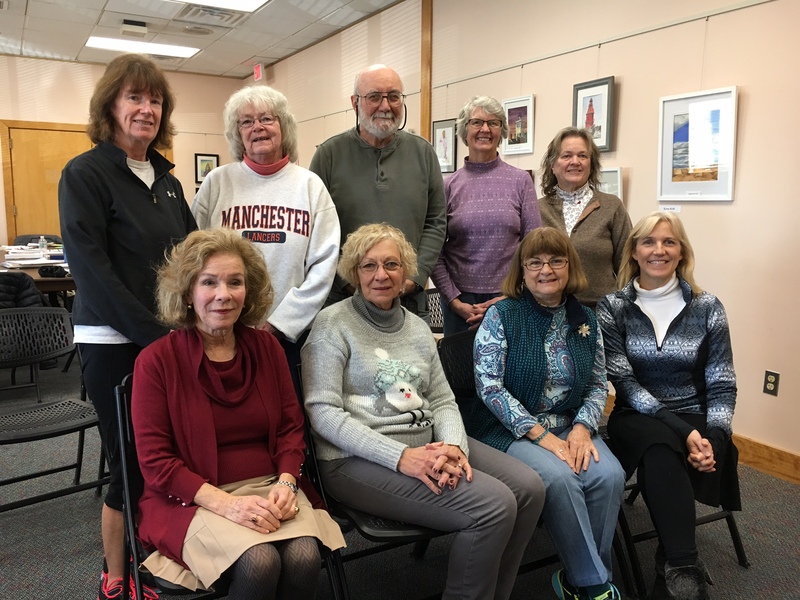 A group of concerned library patrons immediately formed the Friends of the Island Library and sought rental property. This search culminated in a building to house the library, which was truly a community endeavor. Oliver and Josephine Cox donated land, several citizens donated their labor and professional services, and other people contributed money. Long Beach Township gave a year’s extension on the use of their space, and the Beach Haven Bank extended a mortgage to the Friends. The cornerstone of the new building on West 16th Street in Ship Bottom was laid in early August 1959, and dedicated to Josephine Thomas, a strong supporter of the library. The library opened on January 6, 1960. The building was owned by the Friends, who held various fund raising affairs to meet expenses. The municipalities of Barnegat Light, Harvey Cedars, Surf City, Ship Bottom and Long Beach Township, which were served by the Library promised to contribute an annual sum to help meet these costs. Captain George Grant, author and member of the group, lectured as far away as Philadelphia, donating his fees to the library. Four years later, the Friends held a mortgage burning party and purchased an adjacent parcel of land for parking. For the next twelve years, this 1,772 square foot facility was a primary provider of library service in the southern part of the county. Mainland, as well as local users, demanded a full range of library services on a year round basis, and the influx of summer residents tripled circulation. The building rapidly became overcrowded, with no space to add services or staff. The Friends began to look for a larger building for the library, but the increasing cost of real estate and utilities made this a proposition they could not handle without financial assistance. During the 1970s and early 1980s, new branches were opened on the mainland in Tuckerton, Forked River, Barnegat, and Stafford. While these branches decreased the demand for library service at the Long Beach Island Branch, a need for more space continued. After much negotiation, a new building for the Long Beach Island Branch became the second project initiated under the Ocean County Library’s 1986 Master Plan. In March 1988, ground was broken for a new 7,036 square foot building on the border of Surf City and Ship Bottom boroughs. Grand opening ceremonies took place on May 7, 1989. Local use and Friends’ support continue to make this a branch a vital part of the Ocean County Library. The Long Beach Island Branch is located on a barrier island, which is accessed by a single bridge from Route 72 in Manahawkin. A new span for the bridge is being built, which is slated to be finished by 2018. The branch is located one block west of Long Beach Boulevard, which runs the length of the island. It is 26 miles south of headquarters, and 6 miles east of the Stafford Branch in Manahawkin. The Long Beach Island Branch is part of the Southern Region, which includes 6 other branches in Barnegat, Waretown, Stafford, Lacey, Little Egg Harbor, and Tuckerton. To join the Friends of the Library, please click here to fill out the form. For questions about the Friends of the Long Beach Island Branch, please contact lbif@theoceancountylibrary.org. For additional information about what the Friends do, check out these pictures.